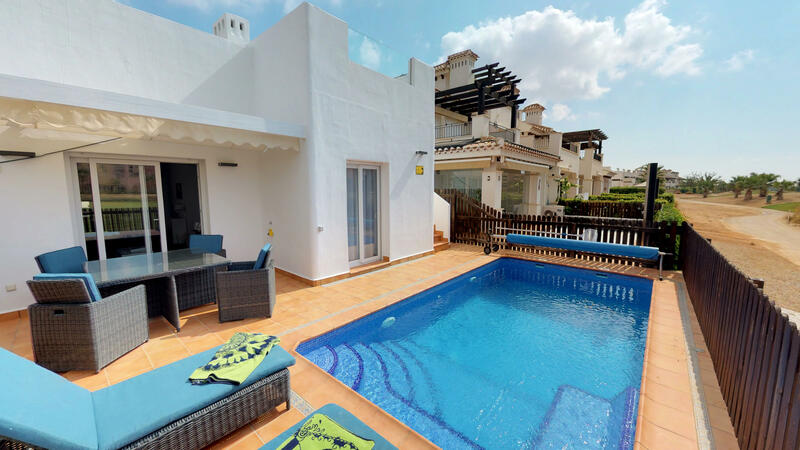 Fab south facing villa with stunning roof terrace! Villa on Mar Menor Golf Resort with stunning views over the course. 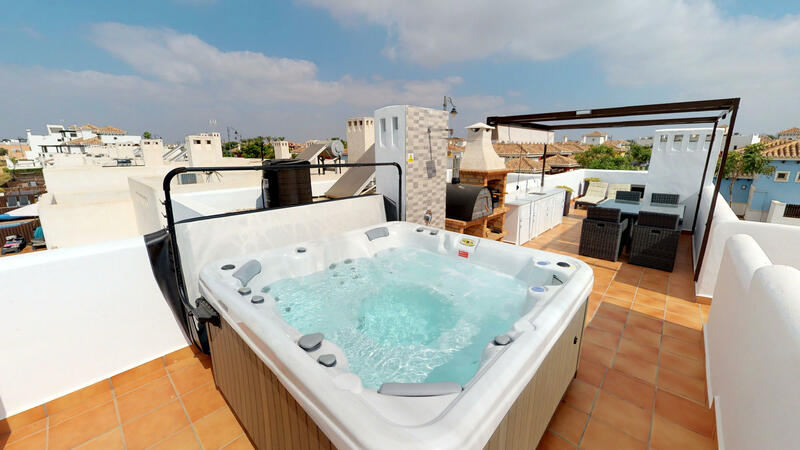 Beautiful roof terrace with jacuzzi and BBQ/Oven. 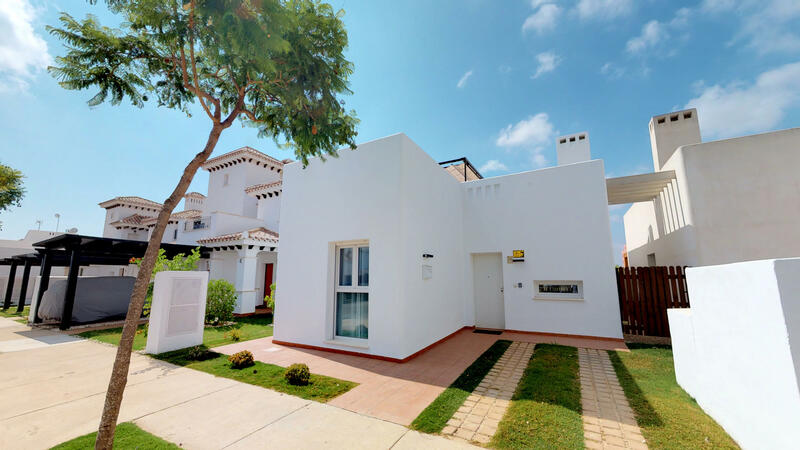 Exclusively Murcia/Mar Menor are delighted to offer this one off modern three bedroom villa with a private swimming pool, hot tub and fab golf views... 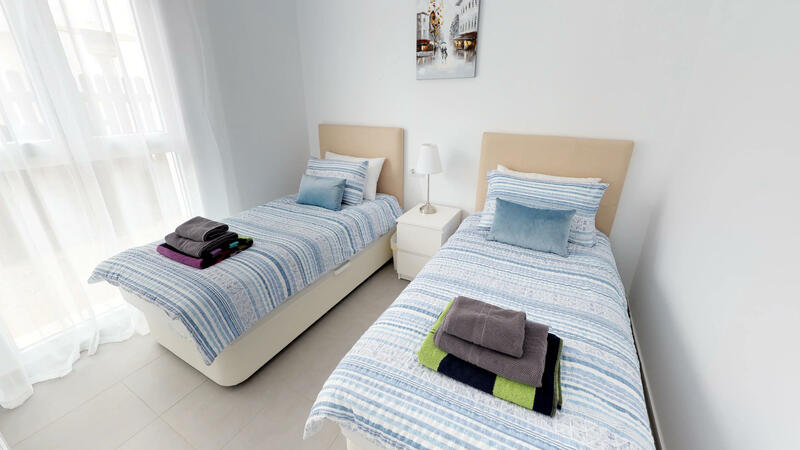 It has a modern interior, air conditioning, free Wi-Fi, UK TV including sports packages and more! 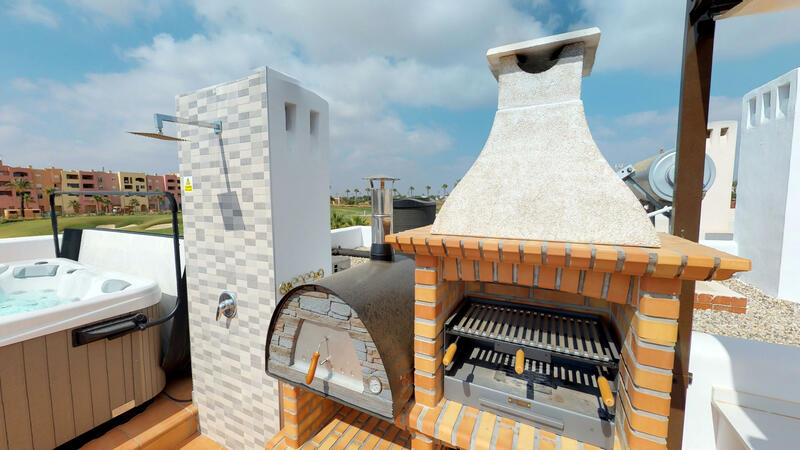 There is a fantastic, stylish upstairs roof terrace with a large summer kitchen, great for BBQ's and chilling out! 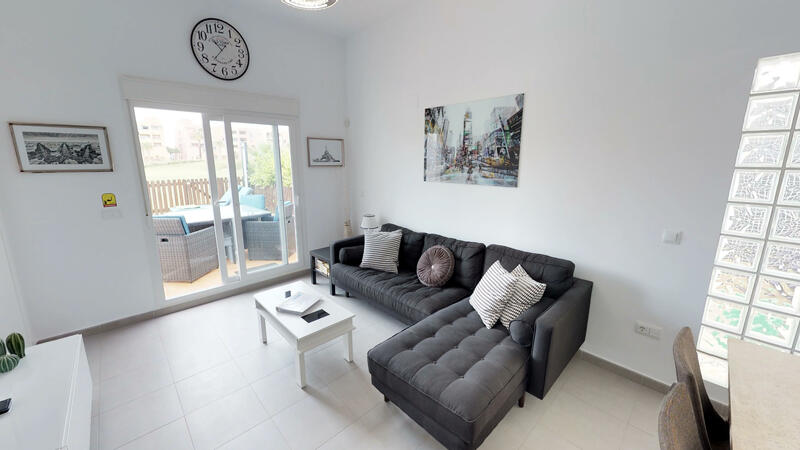 The villa is in an extremely convenient location as the supermarket,padel courts and Boulevard area are all within easy walking distance! 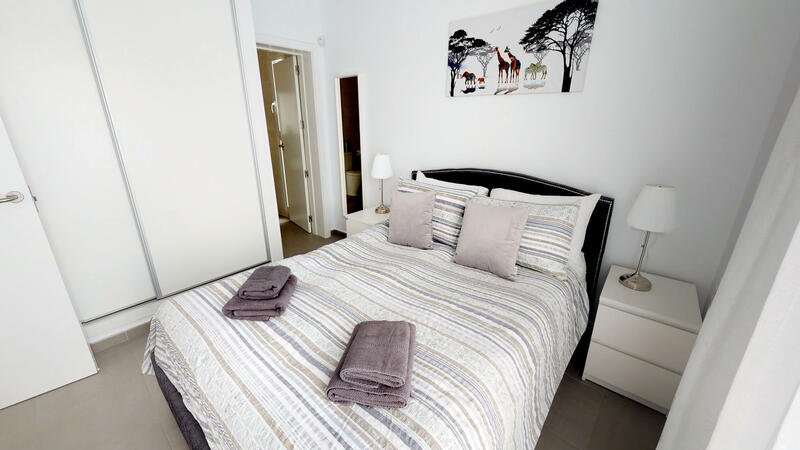 Plus the Hotel and town centre can be accessed within 5 minutes...What's more, it is south facing and the terrace and pool area are bathed in sun for most of the year! The accommodation compromises a great lounge and dining area, the lounge has patio doors to the outside area. 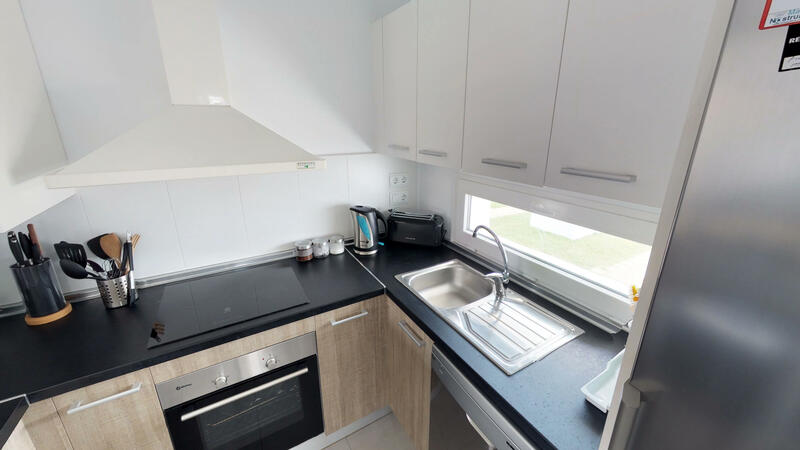 There is a compact but more than adequate well equipped modern kitchen, with all the mod cons. All the accommodation is on the one level so it is really practical. 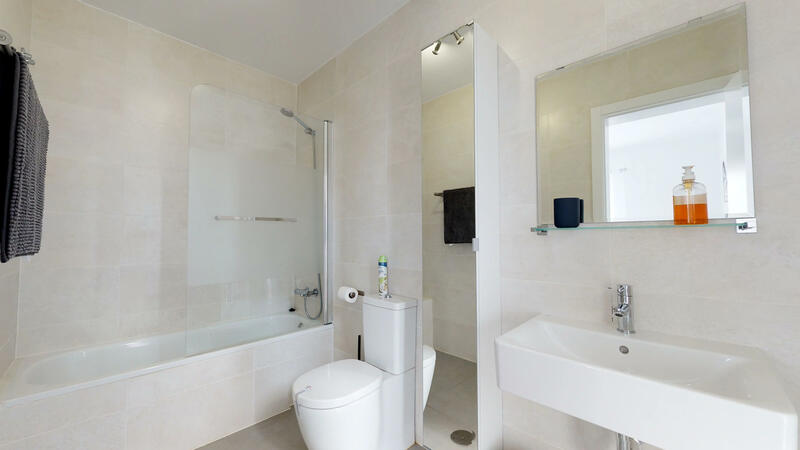 There is a lovely master bedroom with en-suite bathroom. The beds can be made into Twins or joined together to make a super king. 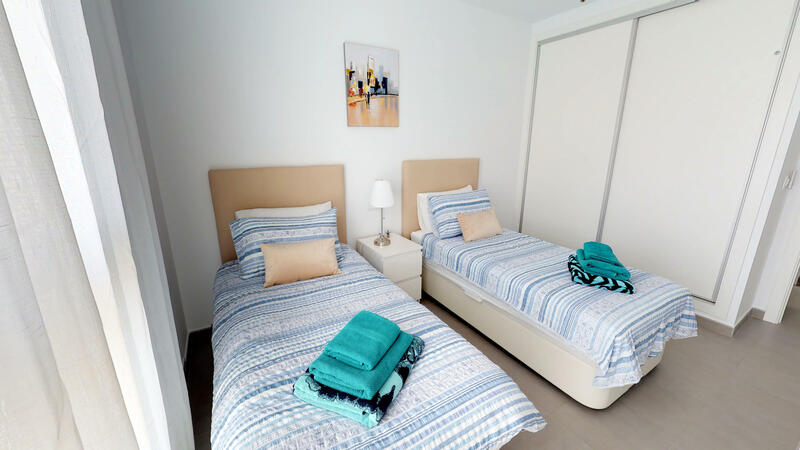 There are an additional two modern twin bedrooms (can also be joined together to make superkings) as well as a compact bathroom with shower. Villa MM2002 is a superb property and an ideal base for your luxury self catering holidays throughout the year. Welcome food pack included with all bookings. The pool can be heated at extra cost (available October-April only (100 euro per 7 night stay). The hot tub is available for use all year round and is included in the rental price. The south facing frontline villa is a short walk from the Boulevard and resort centre and is located on Calle Cornejo.